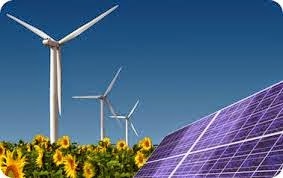 With India facing rising fuel prices, threats to energy security, and the need to manage economic growth with pragmatic consideration of climate change, renewable energy offers a critical solution to India's burgeoning energy demand challenges. Further, renewable energy technologies are more labor-intensive than more mechanized fossil fuel technologies, as demonstrated in more mature markets, and can provide a tremendous opportunity to create domestic jobs. The National Democratic Alliance (NDA) government of India has presented its first full annual financial budget since it came to power in May 2014. During the presentation, Finance Minister Arun Jaitley made several encouraging statements regarding the renewable energy industry. The revised target for renewable energy capacity is now 175 GW by 2022, and it includes 100,000 MW solar, 60,000 MW wind, 10,000 MW biomass, and 5,000 MW small hydropower. The tax on coal to support clean energy technologies has been doubled from INR 100 to INR 200 per metric tonne of coal and will generate an additional INR 1,200 billion for the national Clean Energy Fund. Nevertheless, it remains to be seen to what extent renewable energy will benefit from this. India, the world’s third largest emitter of greenhouse gases, is among the few countries in the world to have introduced a carbon tax. Of India’s installed power generation capacity of 255,681.46 megawatts (MW), around 60%, or 154,170.89MW, is coal-based. The cess at current levels aggregates to Rs.6,000 crore every year. Excise duties on certain materials used in the manufacture of wind turbines as well as round copper wire and tin alloys used in the manufacture of solar PV ribbon and solar water heaters have been reduced to zero. This step is viewed as a part of the push towards products ‘Made in India’ and is aimed at boosting domestic manufacturing and creating jobs. The government also proposed setting up a National Investment and Infrastructure Fund with an initial sum of INR 200 billion, which would benefit infrastructure companies. With India targeting 100 GW of solar power and 60 GW of wind power, infrastructure is crucial and the funds announced will considerably reduce the pressure on developers.